China Reluctant About Indian and Pakistani Entry into the Shanghai Cooperation Organization? As India and Pakistan moved a step closer to join Shanghai Cooperation Organisation, an official Chinese daily today raised concerns that their « territorial and religious » disputes may disturb the bloc’s functioning and shift its focus. « Generally, including new members can help the SCO expand its clout. But the inclusion of the two South Asian powers might also lead to some problems, » an article in the state-run Global Times said today. « First of all, the inclusion may have an impact on the SCO’s principle of consultation-based consensus. The principle of consultation-based consensus has been widely recognised and adhered to by the members, » it said. « In this sense, the inclusion of India and Pakistan may bring into the SCO their long-existing disputes over territorial and religious issues and disturb the organisation’s efforts to carry out the principle, » it said. « For the possible problems that may arise after India and Pakistan become full members, the SCO cannot just ignore but instead deal with them in a positive and rational manner, » it said. The daily underlined that SCO founding members should be given some special rights to dispel their concerns caused by the expansion. « Requirements can be proposed to the new members in terms of mechanism-building so as to avoid cooperation bottleneck after the expansion, » it said. Today’s article, second in the daily in recent weeks, said the inclusion of India and Pakistan may divert the focus of the SCO. 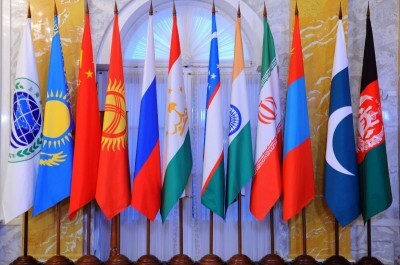 « As four out of six founding members of the SCO are in Central Asia, the SCO has always concentrated on the region. But the joining of India and Pakistan may split the focus of the SCO, and hence the four Central Asian members will reduce their dependence on the SCO, » it said. « Moreover, giving full memberships to India and Pakistan will affect the SCO mechanism. The working languages of the SCO are now Chinese and Russian, and there has already been massive language workload in current meeting mechanisms. If India and Pakistan are taken in, the organisation’s daily work is likely to increase exponentially, » it said. But at the same time it said « the inclusion of India and Pakistan will undoubtedly enhance the influence of the SCO, and the member states also highly value and support the wills of observers and dialogue partners to step up their cooperation with the organisation, » it said. India and Pakistan last week signed Memorandum of Obligations to join the six-member organisation at the Tashkent summit as part of lengthy process to join the grouping. The SCO formally decided to admit the two countries in Ufa summit last year but the Indian officials say the process of admission is still continuing as both the countries have to ratify all the documents of the group since it was founded in 2001. SCO, focusing mostly security related issues like terrorism in Central Asia, has China, Kazakhstan, Kyrgyzstan, Russia, Tajikistan and Uzbekistan as full members.